On a dirt road, deep into the Nuy Valley, outside Worcester in the Western Cape, lies a farm between the Langeberg Mountains and the open scrub of the Klein Karoo. Once a replenishment station for weary travellers into the hinterland, Penhill Farm has been restored into a luxurious getaway. The white gabled accommodation includes the Manor, the East and West Granges, the Fruit Barn and Peppertree Cottage, all beautifully renovated and comfortably fitted out with top quality furnishings, technology and appliances. On hot days, the different houses offer various options of private swimming pools or Jacuzzis for a dip, or the farm dam complete with ducks for the more adventurous. In winter, the fireplaces are stacked with wood, thick walls and thatch insulate you from the cold. The farm is often misty on cooler mornings, birds thronging in the manicured gardens, and clearing to brilliant blue skies over the Karoo. So sleep in, and emerge with coffee as the sun warms the valley. Although the houses can be rented separately, the farm sleeps 24 in total, making it a perfect venue for groups. The Cellars is a wonderful inside-outside living and dining area with a full chef’s kitchen, that can be used for celebratory dinners and group socializing. Sporty types can choose between hiking, trail running, mountain biking or tennis. Bikes and raquets are supplied. Otherwise, lie back under a tree, read a book and snooze away the afternoon. Venture down the road, and you can sample Penhill and Conradie wines or visit Saggy Stone Brewery, which offers spring water based craft beer on tap. Mostly, Penhill is about slowing down, breathing the crisp clean air, indulging in good food, watching the stars and sitting back and relaxing completely with family and friends. 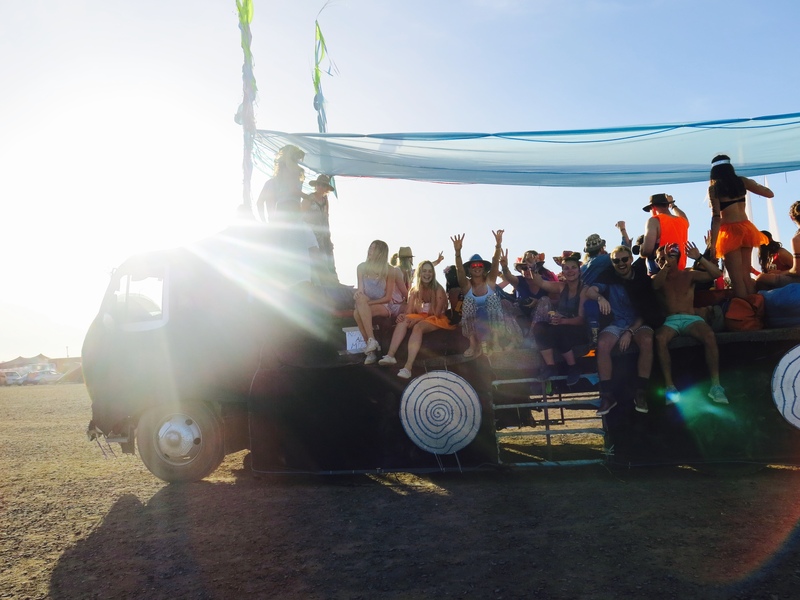 Once a year, millenials, hipsters, ageing hippies and middle class urbanites abandon their mundane existences and head into the parched hinterland of South Africa to experience a burst of freedom and self-expression in the desert at AfrikaBurn. 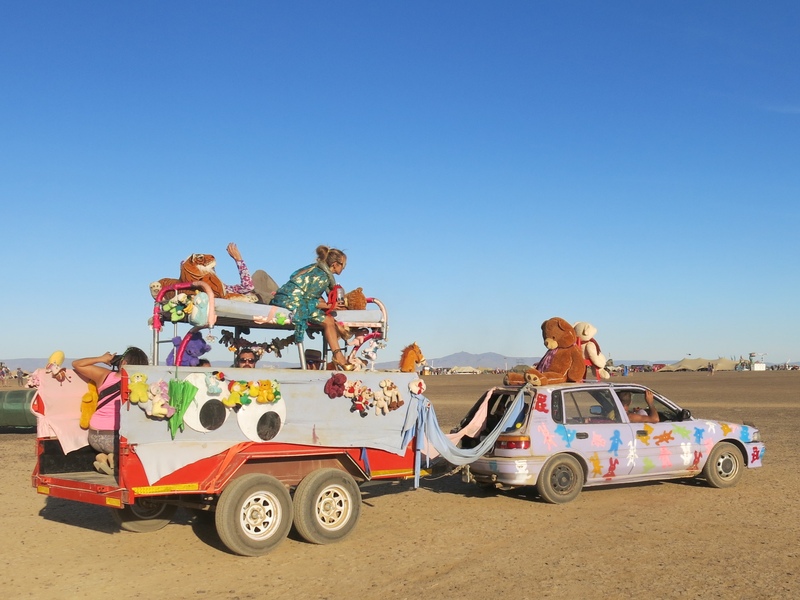 Transforming the Tankwa Karoo into a fantasy village of theme camps, art, costumes, music and play for a week, AfrikaBurn gives, shares and liberates. 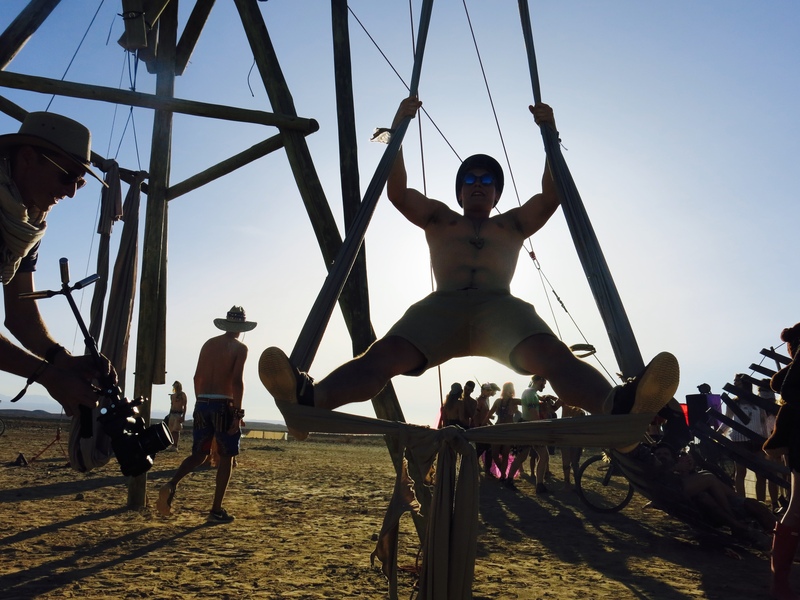 As the Burn begins, the vast space fills with thousands of Burners camped in the desert shale like refugees pimped to party in the dust. 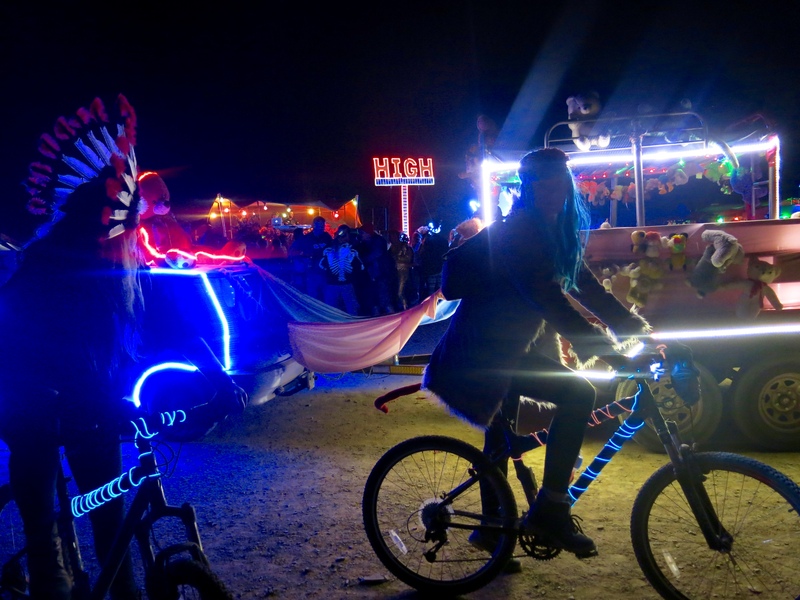 SUV’s are parked, masks and costumes clamber onto mutant trucks blaring beats, fur covered Vespa’s and dayglo bicycles, to follow the fire, music and play. 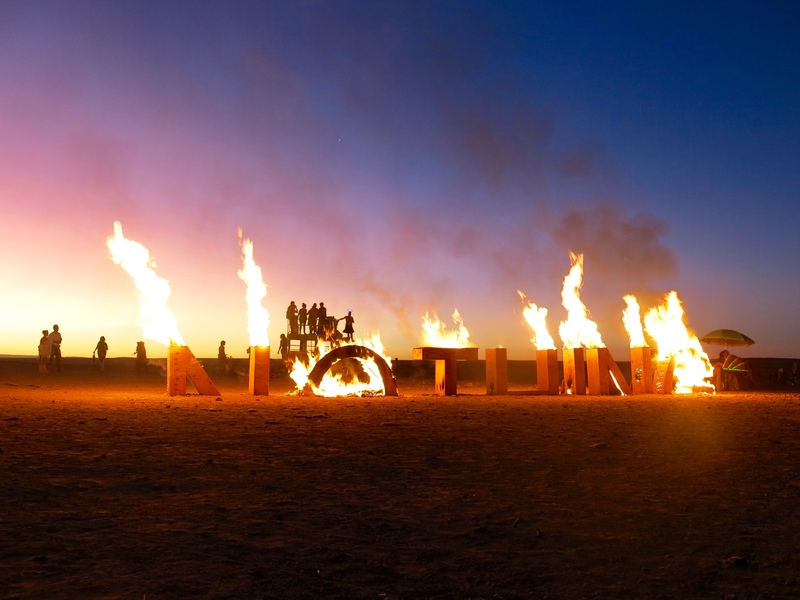 AfrikaBurn culminates in a series of primitive ritual burns of massive artworks built for the event – crowds clamour, sparks shower and tribal nudists cartwheel around the fiery pyres. Regrouping through the night around nothing and everything, trails of LED lights follow the moon and the music. 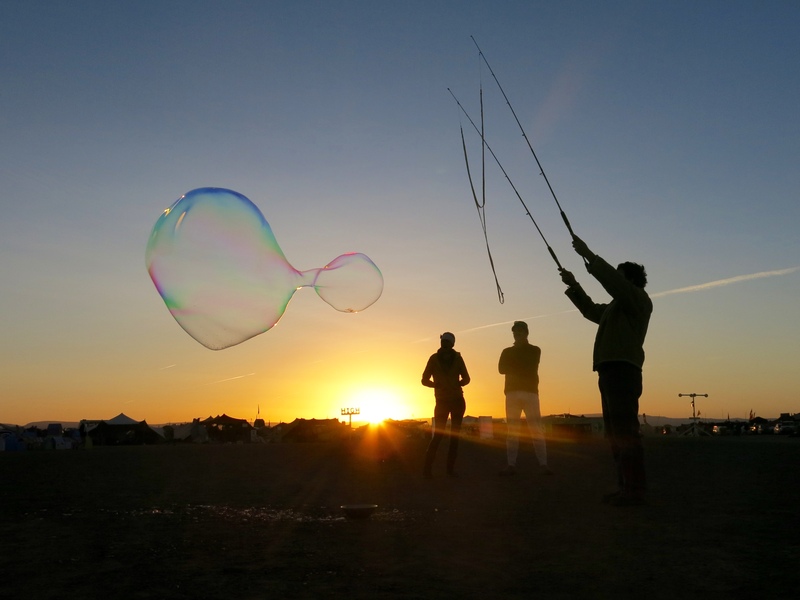 Until the sunrise gong signals a new day, giant bubbles catch the breeze, yoga mantras float on the morning and coffee percolates tired souls. 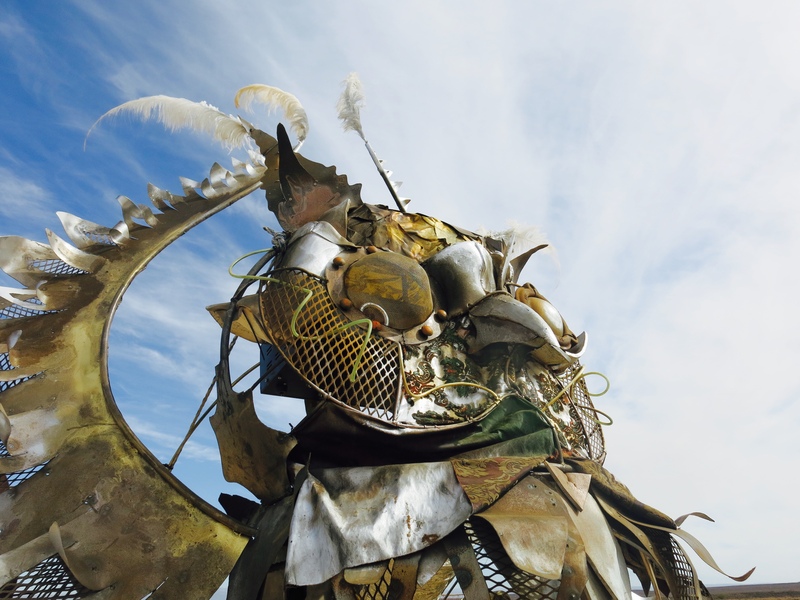 Dusty, partygoers revive and pull on tangled fishnets, corsets, and monster faces. 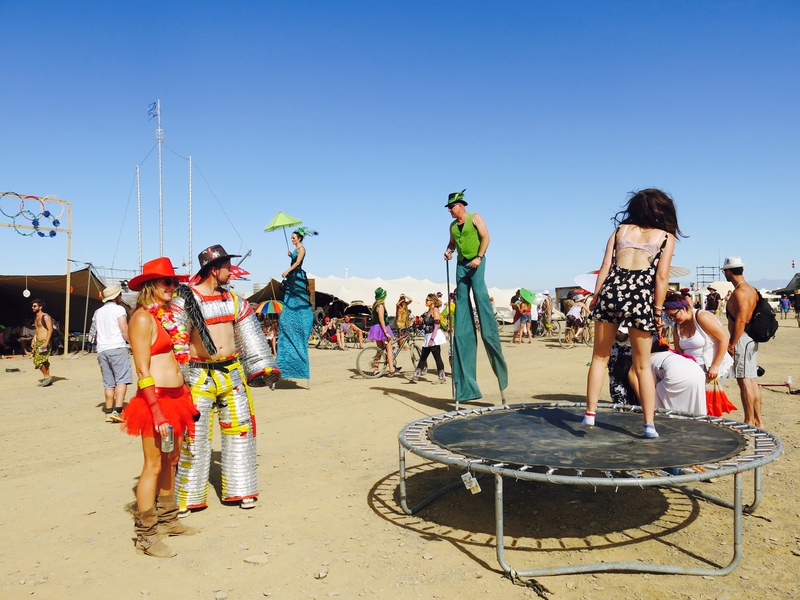 Dancing aliens relentlessly follow the trance and Elvis dances to disco, masked bodies spin on hula hoops. 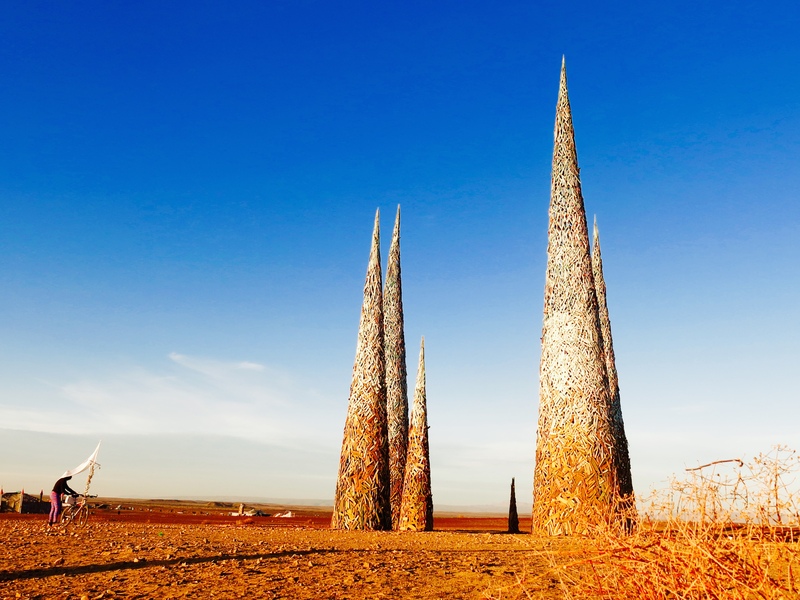 Heat forges mirages of vessels sailing across the plain, towards supernatural towers, welded steel beaks and eyes glare across the Binnekring (Inner circle). 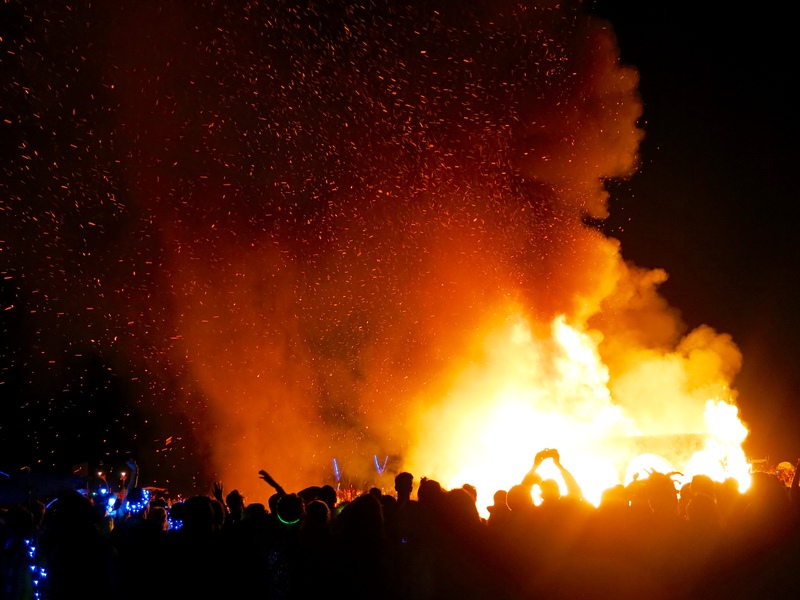 The sun reluctantly sinks, tribes gather and disperse and press in again as fires flicker and the burn continues. From Cape Town, the N1 stretches out after Touws River into dry scrub. Trucks ply the routes and the small towns are not quaint – Merweville features little more than a bottle store and a railway siding. The land is harsh, sheep dot the veld and houses stand resolutely alone among windmills and gum trees. But as we near the Eastern Cape the landscape subtly shifts, and low-lying hills rise out of the arid flatness.